(CN) – Well-known artist Robert Cenedella claims in a $100 million lawsuit that the Met, Whitney, MOMA and other museums mostly show solo exhibitions by artists represented by just five galleries due to close financial ties between the museums and galleries that prevent other artists from getting their work shown. Cenedella is a New York-based contemporary painter who became well known for his commissions for liquor companies Bacardi and Absolute Vodka, as well as his paintings for Le Cirque restaurant. “I firmly believe it has become my duty and responsibility to expose, what I believe to be, the corporate museum cartel for the role they plan in the manipulation of the overall art market. The system today – put in place by galleries, auction houses, and art critiques – has nothing to do with the talent, development of skill, or maturation of the art world,” Cenedella said in a statement quoted in the 18-page complaint. A solo exhibition of an artist’s work at any one of the defendant museums is a career-changing event and can significantly change the market value of that artist’s work. For example, the average price of a Mark Grotjahn painting rose from $322,000 to $1.2 million after his work was exhibited at the MOMA in 2014, according to the lawsuit. But how museums determine which artists to select for the honor of a solo exhibition is an opaque process – one dominated by a very select group of curators and gallery owners, Cenedella claims. Ninety percent of solo exhibitions at the Guggenheim Museum between 2007 and 2013 featured artists represented by these five galleries, according to the complaint. Forty-five percent of solo shows at MOMA are by these galleries’ artists, as well as 40 percent of major shows at the New Museum. Follow the money, Cenedella says, and you will find the source of the tight relationship between the defendant museums and top five commercial galleries. “Galleries are routinely asked by museums to support museum shows in amounts ranging from $5,000 to $50,000,” – substantial sums of money which go to finance opening-night galas, catalogs, shipping costs and other expenses, the lawsuit states. 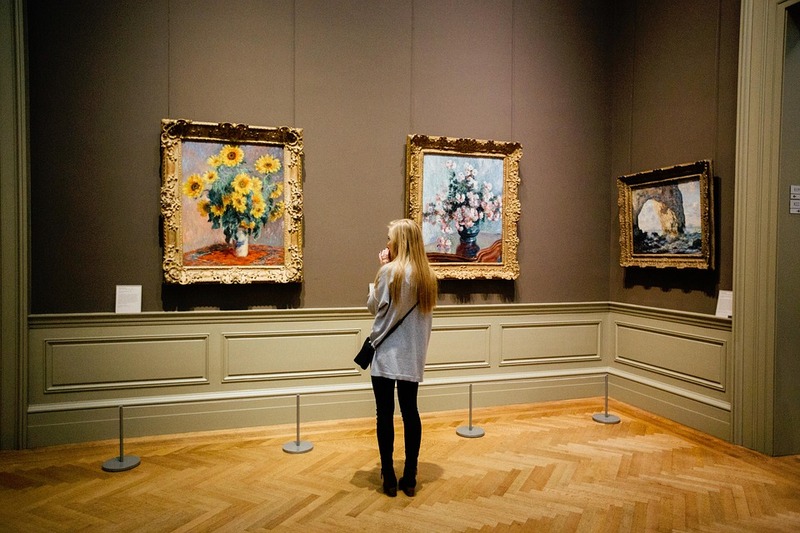 In exchange, according to the complaint, “prominent galleries’ close collaboration with museums results in increased prices for their artists’ work,” which in turn enriches the galleries and their top collectors, who are granted exclusive access to purchase the artists’ work just as prices are set to rise. “This closed system of the defendant museums, the five galleries, artists, and prominent art collectors operates to the financial benefit of all participants. By that same token, artists outside of this system are foreclosed from the financial benefits of having their art exhibited by the museums, do not benefit from any of the promotion and profitability garnered by the galleries, and do not see the financial success that comes with increased prices and sales of their art by prominent collectors,” Cenedella’s lawsuit states. None of Cenedella’s work has been purchased for inclusion in any of the museums’ permanent collections, nor has he ever been given the opportunity to exhibit his work in either a group or solo exhibition at the defendant institutions. His suit seeks restitution of at least $100 million for the defendants’ alleged unreasonable restraint of commerce in violation of the Sherman Act. The defendant museums did not immediately respond Tuesday to requests for comment.